Not looking forward to your next dental visit? If thinking about sitting in the dentist’s chair gives you anxiety, you’re not alone. Over half of American dental patients associate stress or fear with the dentist. Good news: You can completely change your dental experience at OnCall Dental – Fresno. Our compassionate doctor and staff will make you feel at home every time you walk through our doors. In addition to great service, patient comforts, and entertainment, we offer sedation dentistry. Many patients have overcome dental anxiety with modern sedation dentistry techniques. Our conscious sedation techniques will soothe your nerves each time you visit. You can sit back, relax, and trust that your dental team will deliver impressive results. Our caring Fresno doctors can use a combination of local anesthesia and sedation dentistry to provide her patients with unparalleled comfort. Some patients use conscious sedation to increase their tolerance and accomplish several procedures in one sitting. Oral conscious sedation involves taking pills or capsules shortly before your appointment time. Our doctors can prescribe you this anti-anxiety medication in a dosage that’s perfectly safe for you. Oral conscious sedation will relieve any nervousness you may feel about your appointment and help you feel comfortable. Once the conscious sedation medication kicks in, you will feel more confident that you will not feel any sensitivity! Another popular sedation method is laughing gas. Laughing gas puts patients into a calm and relaxed state. When you come in for your procedure, we will place the laughing gas mask over your nose. The gas will quickly take effect and you can feel worry-free throughout your time with us! Who wouldn’t want a stress-free dental experience? 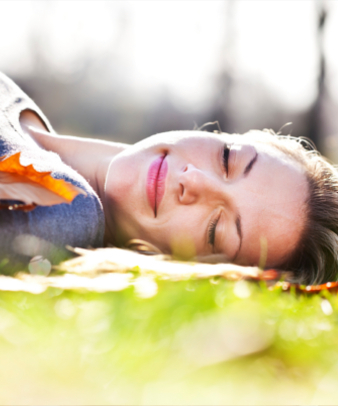 Our conscious sedation options eliminate needles, fear, and anxiety. Call us today to learn more about sedation dentistry at OnCall Dental – Fresno if you are in the area, including Clovis and Madera!